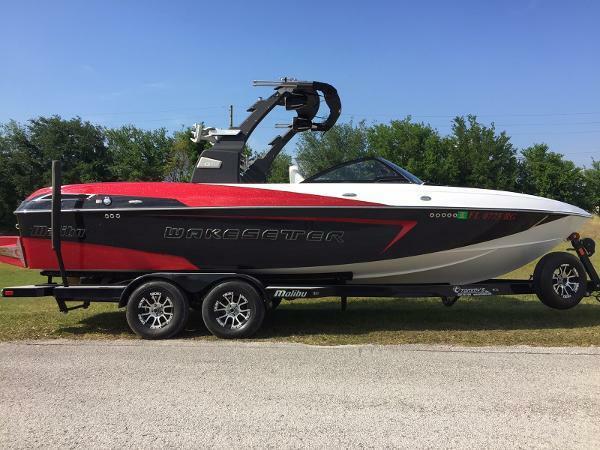 Is it any wonder that only 12 short months after its debut, the Mastercraft X-2 is the best-selling boat in the entire MasterCraft line? Only a skeptic would ask why. The X-2, simply, can do it all. Wakeboarding, Water skiing, whatever you want....Perfectly proportioned at 20 feet, it packages standard features like others drop on as options, such as the proprietary, drive-by-wire throttling and cruise control, clamping and swiveling ZeroFlex tower board racks, 500-watt JL Audio sound system with 10-inch woofer and a console custom-created with billet aluminum bling. Powered by a standard 310-horsepower mulit-port EFI Vortec engine, the X-2 skips and zips through all types of water, shooting to tempo in seconds, then nestling in at skiing and riding speeds thanks to MasterCraft Cruise, which monitors both speed and rpm to hold a consistent tow for any level of rider. Once you’ve found the speed, it’s easy to find the wake you want. We designed the X-2 with a modified step hull to glide at high speeds for slalom and sit deep for mastering wake stuff on a wakeboard. Like its big sibling X-Star, the X-2 provides long, gradual launch ramps with plenty of kick at the lip to send you up, then out. Want to try it all? Here’s a boat that can do it all.